The course is routed, hole after hole, along the cliffs on magical land of the once powerful Thracian kingdoms. The setting is pure theatre and perfect for this weeks’ Volvo World Match Play event. Gary Player who is not shy when it comes to eulogising about his golf courses is rightly enthusiastic about the course he has designed here, he stated “You will not find another golf course like this anywhere on the planet, Pebble Beach is renowned as the best site and I would say Thracian Cliffs is twice as good as Pebble Beach I have to say, without a question of doubt, that I have never before played on a golf course where you can see the ocean on every single hole. 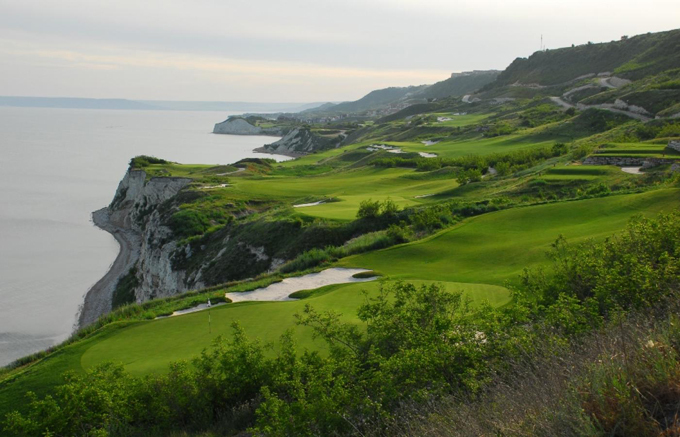 When people come here, they are going to say Thracian Cliffs is the best golf course they have ever played in their life. I have been playing for 56 years and I never knew there was ground like this on the planet for a golf course”. As I said Gary is not shy about his courses, but talking to some of the people who have played here, it truly is a wonderful place to play golf and I am looking forward to seeing how the professionals cope with some of carries across the ocean, especially if the wind picks up. Now that the draw has taken place I will be taking a player from each section, two I feel that can win, two each-way bets and a couple of outside bets. Unfortunately the odds are not that great being match-play and a limited field. Graeme McDowell 8/1 looks like his got the flat stick working again after his win at The Heritage and three other Top 10 finishes on the PGA Tour. 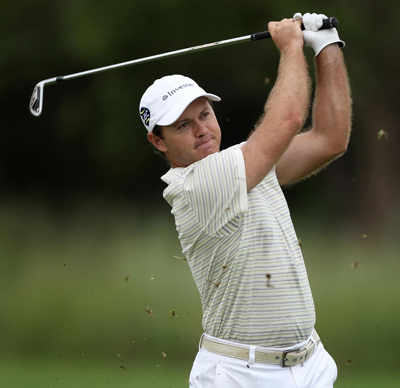 Graeme also make the quarter-final stage of the WGC Match Play. 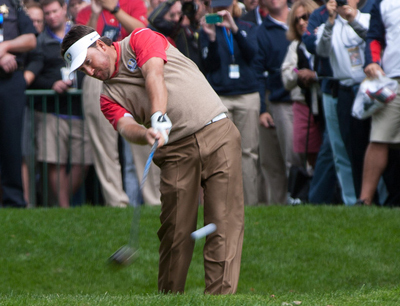 With all his Ryder Cup experience you would expect to see the Irishman going deep into this tournament. What can you say about Ian Poulter 8/1 and his match-play record that has not been said, he is a past winner of this event in 2011 and his stunning Ryder Cup record stands at won 12 lost 3 winning all the matches he was involved in at Medinah. 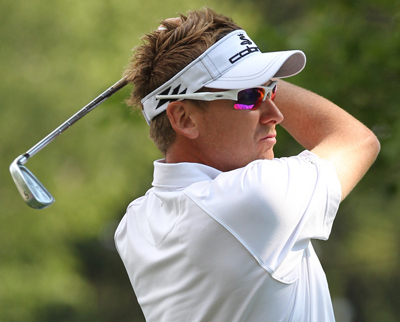 Poulter also won the 2010 WGC Match-Play Championship and had another semi-final finish at that event this year. Peter Hanson 14/1 will want to show his match-play credentials here this week after only getting to play in two Ryder Cup matches in 2012, losing both times to the Americans and only getting through to the second round at the WGC Match Play, going out by one hole to Webb Simpson. Peter has five Top 25 finishes from eight tournaments on the PGA Tour and another two on the European Tour, hopefully he’s recovered from his final round 82 at last weeks Players Championship! Richard Sterne 20/1 currently sits second on the European Tours scoring average and hasn’t been outside the Top 25 this year . Richard has a win and a runners-up in the five events he’s played in 2013. South Africa have always produced great sportsman and Sterne is one of a great crop of golfers that are starting to make produce. I do think this could be a week for a few upsets especially when you think of the form that Kiradech Aphibarnrat 40/1 has been in lately. The lad from Bangkok has not been outside the Top 12 for the four tournaments he’s played this year, one of those was his first European Tour win at the Maybank Malaysian Open. He also sits in third place on the stroke average stats. 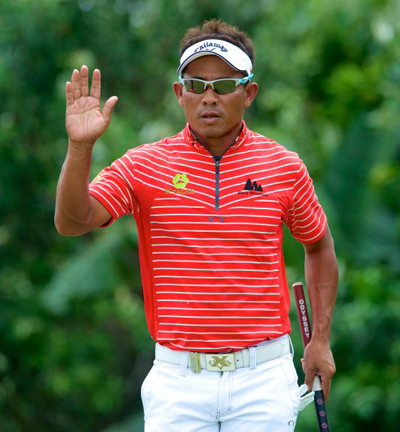 Thongchai Jaidee 33/1 looks like he is starting to come back into form, Thogchai started the year with three Top 10 finishes and it seemed only a matter of time before he would capture his sixth European Tour title, but he seemed to lose his way after two great opening rounds at the Dubai Desert Classic. So it was good to see him back to playing some of his best golf with a final round 65 at the Ballentines Championship and should come into this week with plenty of confidence.